Constructed from 100% mango wood this single arm chair has been fully upholstered in mud linen. 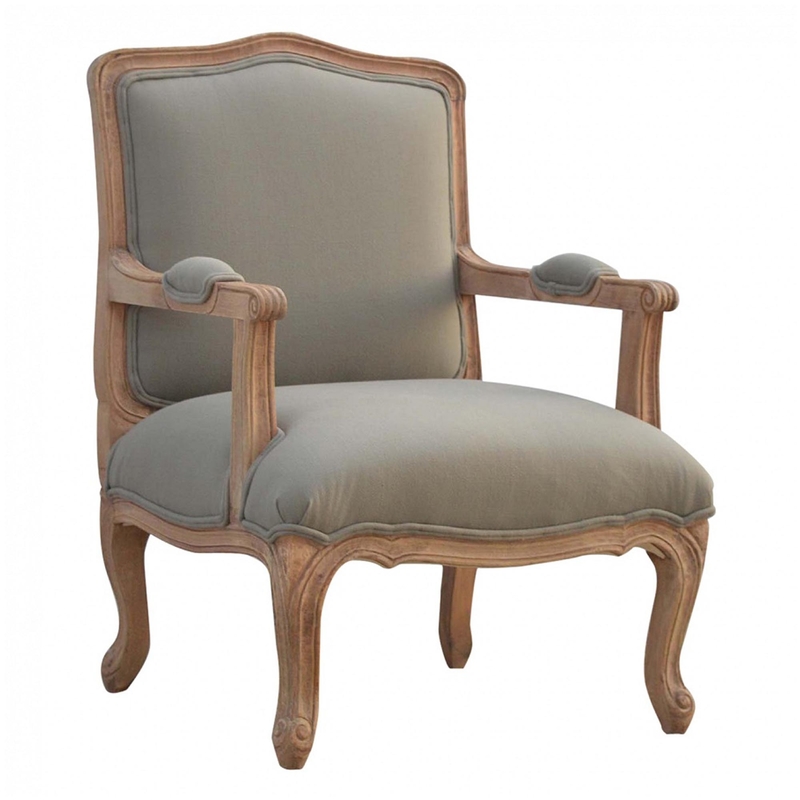 Detailed with gorgeous curvature, this elegant arm chair will add some style as well as additional seating to your home. This arm chair has strong sturdy legs which have been hand carved to add to its already beautiful style complimented by a sunbleached finish. Perfect for any lounge area, this wonderful arm chair is a must buy for any style of home.